One of the things I like about Sapporo is that although it's a big city, it's pretty easy to enjoy the outdoors, especially in Maruyama, where JLI is. 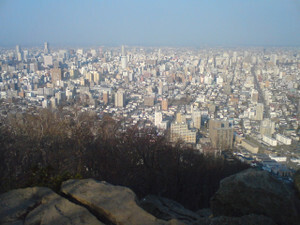 Yesterday I went to Maruyama Park to climb the mountain (it's a small mountain, but definitely bigger than a hill). 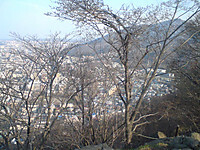 There are two paths up the mountain. 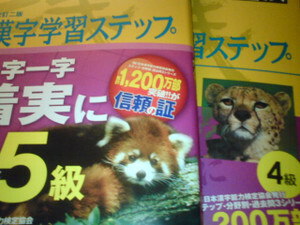 I took the one around back by Maruyama Zoo because it's a little easier and usually quieter. I only saw two or three people on the way up. It's still early spring, but the leaves on the trees have started to bud, and some wildflowers were blooming along the path. The climb takes me about thirty minutes. It's definitely a workout, but it isn't that difficult. I see people jogging up and down sometimes, and lots of older folks make the climb, too, so it's definitely doable. 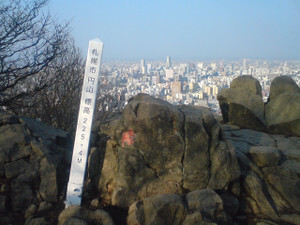 Once you get to the top, there's a little clearing with a bunch of boulders where you can sit and look out over the city. I stayed up there for a while. Recently I've been worrying about what to do after I finish JLI and whether I should go back to the U.S. or not, but seeing the whole city like that reminded me of how much I love being here. The pictures don't really do it justice, sorry. Trust me, when you come, you'll have to go and see for yourself at least once. The new school year has started, and I'm trying not to be lazy anymore. I haven't studied outside of school very much since I passed the JLPT. It felt like a huge accomplishment to pass, but there's still a LOT more to learn. Our teacher told us something interesting last week. 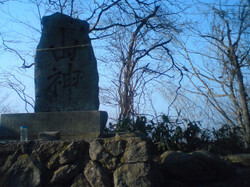 The old JLPT level one was based on about two thousand kanji and ten thousand words. Two thousand kanji is about the same as what a Japanese person has learned when they finish high school. The average adult, however, has a working vocabulary of about twenty thousand words and can understand about forty thousand. Even if you mastered all the JLPT material (which I certainly haven't), you'd still be a long way from having the same kind of vocabulary as a Japanese adult. Thinking about that motivated me to keep studying, so I went to the big Kinokuniya bookstore next to Sapporo Station to do some shopping. I bought two books to study for Kanken (kanji test). It seemed like a challenge and a good way to work on kanji and vocabulary. There are ten levels for Kanken. Level two is aimed at high school graduates, which I figured would be kind of difficult, so I started by looking at the book for level three, for middle school graduates. Nope, no way. Hadn't even seen most of the kanji in there. I wound up deciding to start from level five – it seemed like a good mix of new and familiar words. The book also has a bunch of cute pictures in it because it's aimed at elementary school students. Yeah, still got a long way to go.